It may seem like a daunting task to write an outbound sales script, but with structure and logic, we can more easily prepare a powerful cold calling script. 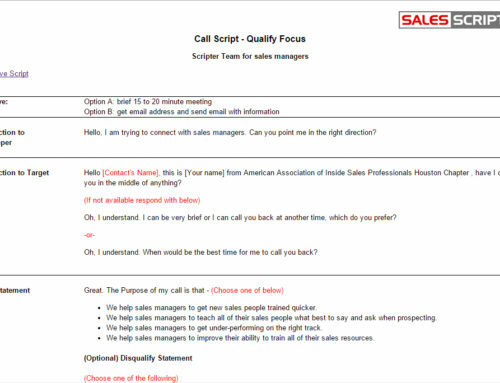 Following are a few tips to assist someone of any level of sales experience with getting their hands around building a calling script. There are two structural choices available when developing a script. One choice is to produce a script that is word for word for what should be said and a continuous stream of content. Another choice is to use an outline structure with different sections of points and questions to be asked during a cold call. Some benefits to using an outline structure are it provides more flexibility for the caller because it’s easier to improvise and use portions of the script in a different order and flow unlike a script that is continuous word for word text. Also, an outline structure is easier to comprehend and adopt than a lengthy word for word script. One component often left out is qualifying questions when developing an outbound sales script. 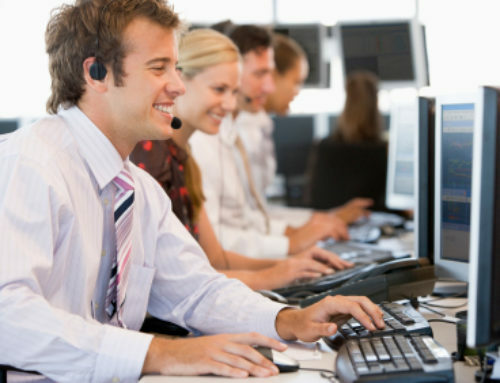 By including qualifying questions for the prospect on your cold call script, it adds tremendous benefits to the cold call due to they help to ensure that the prospect is qualified as well as help make the cold call more conversational which gets the prospect more engaged in the call. When asking qualifying questions, it decreases the prospect’s guard since you’re coming across as motivated to ensure the prospect has a need before you try to sell to her. One of the most important things to accomplish on a cold call is to uncover pain that the prospect is may be experiencing. It can be very challenging to get the prospect to admit to having pain. You can improve effectiveness with uncovering pain by sharing some pain examples which other people have shared as well as asking the prospect if they can relate. This provides information and validation to pain that exists on the prospect’s side. Listing out common pain points that your prospects experience in your outbound sales script is an easy way to share pain examples. 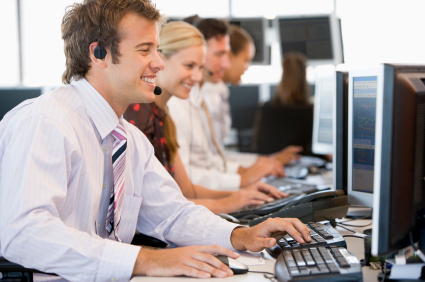 It is critical to successful outbound sales to build interest on the prospect’s side. There is limited time to work with so include some building interest points in your outbound sales script that you can share with the prospect at the end of the script right before you go for the close. Include key details about your company, products, and features in your building interest points. Also, they can focus on the value that you offer and the ROI that you usually deliver. It can also be powerful to include some points on how you differ from the competition as well as any threats that may exist if the prospect does nothing. 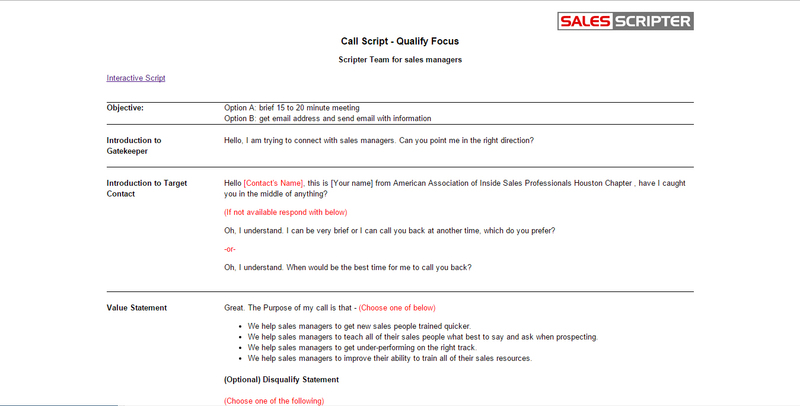 SalesScripter provides cold calling coaching to help sales pros to develop outbound sales script.